John Callion of Workington recalls his earliest introduction to natural history alongside his father on family outings into the west Cumbrian countryside. However, it wasn’t until he gained the independence of his first car that he was able to venture deep into the Lake District. After this, his general interest in birds developed into a specialised passion and led him to undertake years of study on the high fells in search of the elusive Dotterel. After over 20 years, and hundreds of hours, of rigorous observation John has seen the numbers of these high montane birds slowly rise, in the 70’s and then more recently fall dramatically. 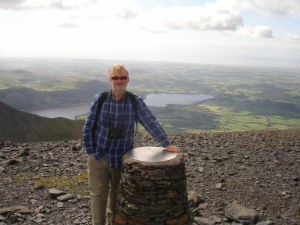 His fascination with Cumbrian birds extends to many other species of both the high and the lower fells and his contribution to the study of avian behaviour benefits a number of related societies.